New-look Raptors, same old problems. Even with Kawhi Leonard and Marc Gasol breathing some new life into the team, they were off to a slow start against the Orlando Magic, and a second-half comeback effort fell just short in a 104-101 loss. 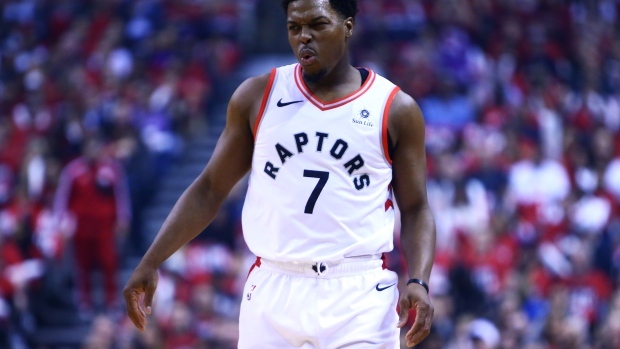 While Raptors fans were likely hoping for a different result with Kawhi in town, it was more of the same, and it certainly didn’t help matters that Lowry finished scoreless on seven shots and two free throw attempts. Meanwhile, his matchup, D.J. Augustin, tied Kawhi’s game-high with 25 points as well as the game-winner. The Raptors will hope for a better result in Tuesday’s Game 2, but here’s how the basketball world is reacting as the Magic go up one in the series. Raptors will fall to 2-14 in Game 1s all-time. A Kyle this is ridiculous at this point..
Toronto's two most reliable defenders blowing pick-and-roll communication and letting DJ Augustin walk into a 3 to possibly blow the game is the most Game 1 Raptors thing I have ever seen in my life. Me, flabbergasted: "The Raptors lost." My level-headed wife: "But they always lose in the playoffs." I’ll say this, the Toronto Raptors own their brand—-win lots of games, except the ones that count.